The study was aimed to evaluate the effect of sunlight on vitamin D and calcium status among the college girls, aged 18 – 22 years. One hundred and fifty girls were selected out of which 45 with vitamin D deficiency were considered for experiment. The participants were divided into three groups of 15 each: Experimental I - curd supplementation, exposure to sunlight and nutrition education; Experimental II - exposure to sunlight and nutrition education and Control group with no intervention. Anthropometric measurements, blood haemoglobin, serum vitamin D and calcium were analysed before and after supplementation for 50 days. In the experimental group I, there was a mean increase of 3.22 ng/ml of vitamin D and was significant at 1% level and in the experimental group II the increase was 1.03 ng/ml (significant at 5% level). There was a mean difference of 1.57 ng/ml in the control group which was not significant. The mean initial calcium level in the experimental group I was 9.33 mg/dl and the final value is 9.67 mg/dl and the increase was significant at 1% level. The experimental group II had a mean initial calcium level of 9.36 mg/dl and the mean final value of 9.56 ml g/dl. The mean difference of 0.05 mg/dl was noted in serum calcium before and after supplementation in the control group. The experimental group I showed a positive correlation of 0.035 between vitamin D and sunlight whereas in experimental group II and control group there was a negative correlation of 0.045 and 0.072 respectively. It can be concluded that sunlight had an effect on vitamin D status and the calcium level of the participants further highlighting that sunlight exposure is an effective method of improving the vitamin D status. 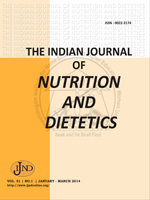 Vitamin D, calcium, Absorption, Sunlight, Curd, Exposure, Nutrition Education.